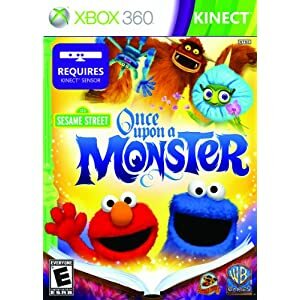 *HOT DEAL* X-Box 360 Sesame Street: Once Upon A Monster 66% OFF! Surf as fast as you can to Amazon and pick up this X-Box 360 Sesame Street: Once Upon A Monster game for ONLY $17.11!!! The price is quickly shooting back up – so don’t wait! The price listed above was as of 1:06 pm CST on June 4th, 2012. Prices and availability subject to change. Make sure you confirm the purchase price prior to purchase.